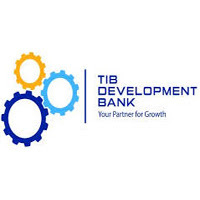 Identify parties with financial resources and developmental objectives (fund owners) that would benefit from agency services offered by TIB and establish relationship with them. Initiate database of proposed/potential funds owners for constant engagement. Preparation and submission of proposal on the expression of interest and bid documents to Fund Solicitation Manager. Collection and timely submission of all required documentation for tendering process. Spearhead bidding and negotiations to facilitate the awarding of the role to the bank. Prepare presentations on awareness of the funds Management role to the potential funds owners and stakeholders. Collection of management fees from respective clients and agencies and remitting the same to the bank for the funds that assigned under you. Timely preparation and submission of periodic progress reports to the fund owners. Carry out any other related duties as assigned by Supervisor from time to time. Liaise with Zone Offices to ensure that documents required to support disbursements are timely submitted and in acceptable form. Review and submit to the disbursement unit the required documents to support booking of the facilities in the system and disbursements. Liaise with Disbursement unit to ensure that funds in the form of grants or loans are disbursed timely and according to approval and subsequent agreements between Fund owner and the Bank (Fund Manager). Administer Management Information System affairs within the directorate. Produce and analyze managed funds portfolio reports. Coordinate timely submission of reports to the principals and other parties in line with the signed agency agreements. Liaise with the appraisal and other departments within the bank for timely clarification of grey areas, availing missing documents, etc. as depicted and escalated by Zonal offices to respective departments through DMF. Review periodic project implementation progress reports prepared by zones and coordinate recommended escalation to ensure timely decision is obtained within the bank and feedback provided to the respective zones for further actions. Follow up with zones to prepare progress reports on strategy implementation including analysis of financial performance on respective accounts and recommendations to attain success of the strategy. Review and coordinate escalation and decision making of the progress reports as appropriate. Ensure timely closure of audit issues related to Managed funds. Carry out any other related duties as may be assigned by Supervisor from time to time.